There’s not a universal treatment that works for all types of weeds. It’s vital to identify what weeds you’re dealing with before figuring out the best course of action. The two main types are broadleaf and grass-like weeds. These two are fairly easy to identify from the other, but it can be more difficult to narrow it down from there. 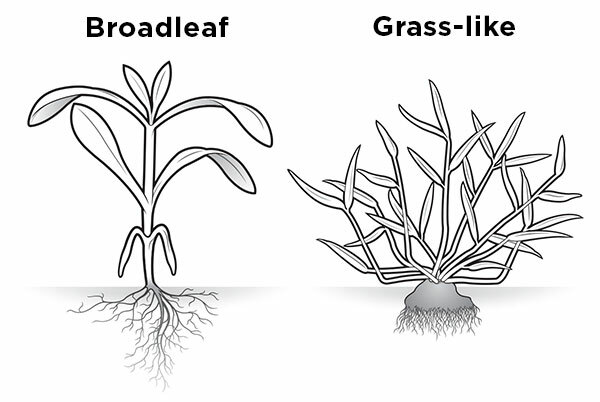 As the name suggests, broadleaf weeds have wider leaf blades than what you’ll find with grass-like weeds. They have distinct leaf shapes, and each leaf normally has a main vein down the middle. Also, broadleaf weeds are more likely to have colorful flowers. One way to start identifying which type of broadleaf weed you’re dealing with is by looking at the leaves to see if they alternate or are opposite of each other. Grass-like weeds will have narrower leaves with veins that run parallel to each other. 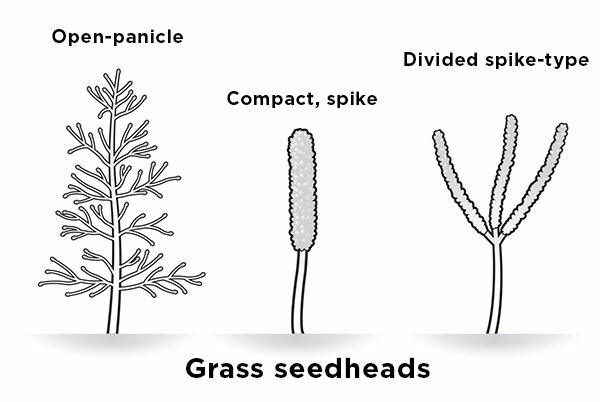 The best way to identify which of these you have is by looking at things like the seed heads, growth habits and vegetative features. You can narrow down the type of weed some by your region, but you’ll need to look at the weed’s characteristics to accurately identify it. If the leaves are wide with a vein that runs down the middle, it’s broadleaf. Weeds with narrow, ribbon-like leaves with parallel veins are grass-like. 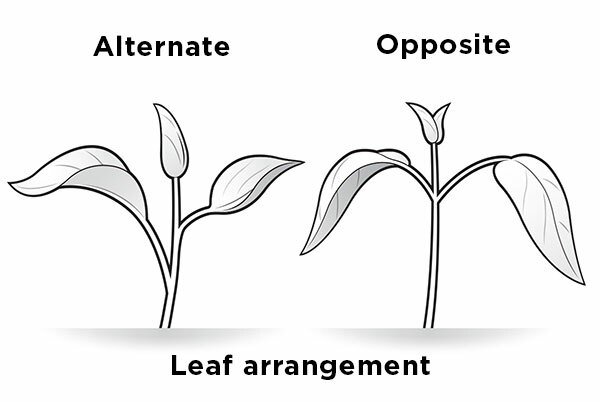 Look at its growth form, leaf characteristics (i.e., if it’s simple or compound, leaf margin and spines), stem characteristics, leaf arrangement (right) and flowers. Note its leaf characteristics (simple or compound), collar structure, growth form, plant hairs, ligules and spines/prickles, if present. Also, check the grass seedhead types (right). Sources: University of Wisconsin-Extension, Penn State College of Agricultural Sciences, PBI-Gordon Corp.